The Scotch whisky world is mourning the passing of David Urquhart, former joint managing director of Gordon & MacPhail, who has died at the age of 63. David Urquhart: 5 October 1952 – 30 November 2015. Described as a ‘legendary figure in the whisky industry’, David Urquhart died on Monday at his Findhorn home, with his family at his side, after a long battle with cancer. Part of the third generation of the Urquhart family which owns Gordon & MacPhail, David joined the company after leaving college in 1972, and quickly established a reputation as a ‘born salesman’ who did much to develop the company’s business across the UK. 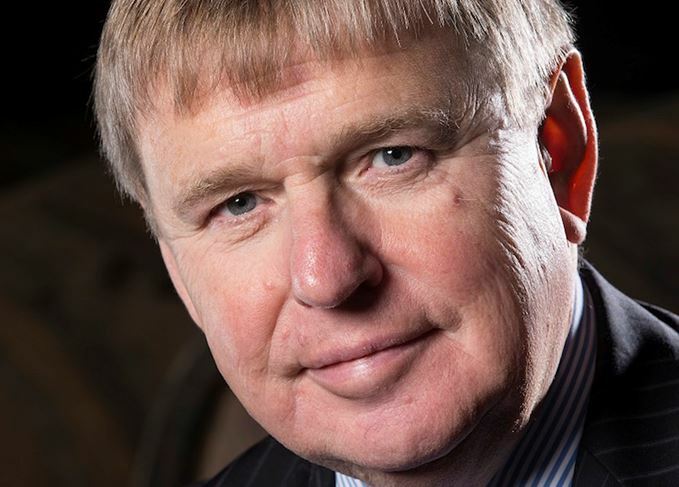 He became joint managing director in 2007 and his contribution to the whisky industry was recognised with a number of accolades, including becoming a Master of the Quaich in 2008 and being named as the 16th inductee into the Whisky Magazine Hall of Fame in 2013. ‘He was a wonderful character and a born salesman who played a huge role in the company,’ said Ewen Mackintosh, COO of Gordon & MacPhail. ‘A legendary figure in the whisky industry, he spent many years promoting the virtues of malt whisky and Gordon & MacPhail. It was a job he loved and at which he excelled. David Urquhart had a host of interests and passions outside Scotch whisky: he was an especially keen sailor, winning multiple Scottish Championships and competing throughout the UK and abroad, as well as having a close involvement in the Royal Findhorn Yacht Club. He also made a significant contribution to the Scottish Licensed Trade Benevolent Society (The Ben), was a stalwart of the Royal Highland Show and was instrumental in attracting the European Pipe Band Championships to Forres for the first time. David Urquhart is survived by his wife Sheila and their twin sons, Richard and Stuart, both of whom work for Gordon & MacPhail. A full obituary and tributes to David Urquhart will appear on Scotchwhisky.com shortly.